Sophie started her first blog when she was 13, but only began blogging regularly after moving to London for her university studies. She’s currently studying geography at Queen Mary University of London, and loves that the subject allows her to explore the world in so many ways. After graduation, she hopes to pursue an MBA and continue learning about the world’s issues and how to resolve them. Sophie describes her style as overall classic, but living in London has inspired her to try more bold colors and patterns. She uses her blog to help her petite audience find these styles and others more easily. As a petite woman, Sophie has experienced the difficulties of finding clothes and feels that short women are underrepresented by the fashion industry and strongly believes in starting a conversation around this. Sophie has completed some exciting projects recently, including interviewing one of her favorite influencers, Robbie Tripp, and she’s looking forward to blogging about summer styles in the next few months. She’s hoping to get involved with more brands and grow her audience within the petite community. Hayley is a technologist and inclusion advocate in the tech industry. She is the founder of Lady in Tech, an award-winning tech and lifestyle brand dedicated to inspiring women to become technologists, creatives, and entrepreneurs. She shares the stories of entry and mid-level women in tech, hoping that these relatable and accomplished ladies will empower the next generation to enter the industry. Hayley believes in the importance of inclusion and diversity work because tech plays such a crucial role in the future of humanity. As she puts it, “we must work toward creating a future where the people who imagine and build technology mirror the people and societies for whom they build it.” Outside of her inclusion and diversity work, Hayley writes a column for Forbes and consults startups in the Bay Area. She also moonlights as an organizer and community builder for various women in tech organizations in the Bay Area. Hayley’s hard work is inspired by the belief that the best way to make a positive impact on the world is through building technology. A fashion journalist based in LA, she started her career as a fashion editor at the Style Network, and that’s where her blog began. Since then, she’s amassed a wide following, and her styling tips have been sought after by brands like Express and Herbal Essences and featured in a number of online publications such as Elle and Harper’s Bazaar. She’s also had a number of features talking about fashion and beauty on Bravo, NBC, and E! With her feminine, polished and timeless style, Sydne provides tips for classy outfits for every season and occasion. One of her current favorite petite trends is the combination of wide-leg jeans with platform shoes, which she swears make her look a foot taller. Sydne is committed: she posts tips like this everyday on her blog and every week on her YouTube channel. Currently, she’s focused on spring trends and promoting confidence through bright, happy colors and patterns. She loves providing this kind of advice--her goal is to empower women not only through fashion, but also home, travel and wellness. Throughout her blogging journey, Sydne feels grateful to have made connections with so many people. She doesn’t consider her followers to be just followers--they’re her #ssInstaFam. She’s formed meaningful friendships through platforms like Instagram and built up a support system that stretches around the world. A lover of all things fashion, Maisa is a student at The Academy of Art University, works at a fashion tech start-up, and somehow still manages to find time to run her own blog. Growing up, Maisa experienced a variety styles--while she currently lives in San Francisco, Maisa spent her childhood in Scotland and Bangladesh, where she was born, and moved to London at age 18. Maisa says that growing up in two cultures allowed her to pick styles and make fashion choices that best fit her personality. She leans toward European style but is interested in Bangladesh’s role as an influencer in the fashion industry. Bangladesh is the second largest fashion exporter in the world, and Maisa wants to encourage questions around sustainability in the country’s manufacturing. Maisa cares a lot about sustainability in fashion--while she loves the industry, she knows that sometimes it can negatively impact society and the environment. Her answer to these problems comes in the form of her other passion: technology. She believes that if these two worlds are merged, industry practices will become more sustainable and businesses and leaders will be held accountable. She’s excited about the possibilities of this combination and hopes to contribute to the conversations around fashion-tech in the future. A typical day in April’s life is busy from start to finish. As a medical doctor, blogger and mother of four, she truly does it all. Her mornings and evenings are devoted to her kids while her work day is spent taking care of patients, so blogging is fit into nights and weekends. April says that balancing the three is incredibly difficult, but it’s worth it: she is able to do the gratifying work of helping others while staying in touch with her creative passions. While The Blue Hydrangeas is about two years old, April began her blogging career in 2007 as a newborn and maternity photographer. She took time off from blogging after starting a family of her own, but came back to blogging and photography after realizing she missed having a creative outlet. Now April spends her weekends creating content, with her eleven-year-old daughter taking all of her photos. She loves searching for new shoot locations, styling outfits and capturing the beauty in everything around her. As we continue into 2018, April is looking forward to growing her blog and seeing where it takes her. In February, she’ll be leaving the Midwest for the Caribbean warmth to collaborate with a hotel, and she hopes to work on more projects like this in the future. But even as she pursues her career and blog, April’s family is at the heart of everything she does--most of all, she is excited to watch her children grow into the wonderful people that they are. Now a personal stylist, Trina got her start in corporate marketing. 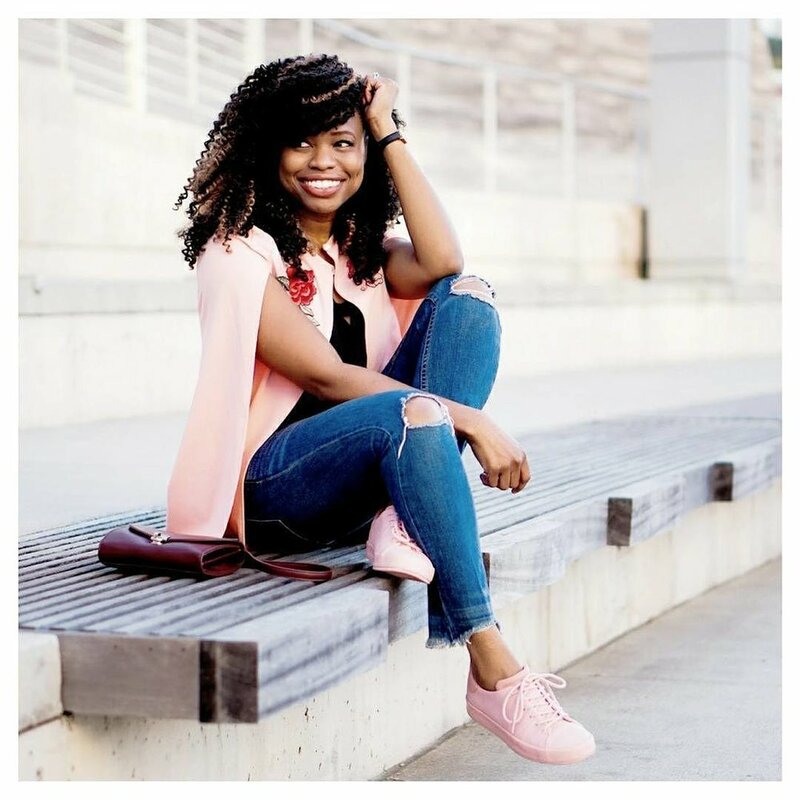 She began blogging in February 2016, and uses her blog as a platform to share her favorite looks and fashion tips, especially for fellow petite women. She loves mixing and matching prints and styles to create colorful, feminine outfits. A resident of Boston, Trina’s wardrobe has shifted to accommodate the weather, replacing stilettos with more practical flats and sneakers and adding warmer pieces. She’s been battling the New England cold with lots of layers, but she still keeps it stylish--her go-to winter look is a thin but warm turtleneck that can layer without the bulk. She recommends similarly streamlined pieces for other petite women, because the less bulk, the taller we look! Her sense of style is a necessary part of her work as a personal stylist. When working with clients, especially petite women, she builds a wardrobe that flatters each individual’s body shape. She stresses that ‘petite’ is not a one-size-fits-all term and petite women come in all shapes and sizes, so she approaches each wardrobe as completely unique. Being a mom, working as a stylist and blogging can often be a juggling act. Capturing daily outfits and sharing wardrobe advice every week can be more time-consuming than it seems. At the same time, though, Trina really enjoys the process--she loves the opportunity to work with brands she likes and create content that people identify with. In the new year, she hopes to continue expanding her blog by discovering more brands that are well-made, fashion-forward, functional and affordable. Shira runs a popular NYC style blog, but she also has a full-time job in social work, therapy, and eating disorder coaching. As an eating disorder coach, she works one-on-one with clients to facilitate and support their recovery process. This can range from meal coaching to shopping for clothes with a client who has undergone weight changes, and Shira loves the personal aspect of the work. Though she has to balance a day job with blogging, Shira has found ways to make the two overlap. She describes herself as a body positive blogger, and much of her content centers around body image and self-acceptance. Recently, she’s become more selective about the brands she features, only sharing those whose clothing goes past a size 8-10. With the average woman being a size 16, brands should carry at least 14-16, she says--all people, regardless of size, should be able to feel beautiful in their clothes. Her commitment to body positivity speaks to many women, from those struggling with eating disorders to body image issues and everything in between. Shira says one of the most rewarding parts of having a blog is hearing from these women about how her messages have inspired or helped them; their words make all the challenges of blogging worthwhile. As her blog grows, Shira plans to keep creating body positive content. She wants her followers to value themselves not as numbers on a scale or clothing tag, but as human beings who should feel comfortable, confident, and beautiful the way they are. Nadia started her career as a blogger in 2010, but since then has become a triple threat: she’s also a Wilhelmina model and, in addition to designing for BooHoo and Lord & Taylor, has recently launched her own clothing line called by Nadia Aboulhosn. Her secret to juggling it all is to stay super organized and to work even when she’s not in the mood. When asked about the inspiration behind her fun and trendy clothing line, Nadia says her designs draw inspiration from a variety of places; however, lately, she’s been looking at the aesthetics of the late 90’s and early 2000’s, particularly the music videos of Missy Elliott and Busta Rhyme. One common theme in Nadia’s designs is women’s empowerment and body positivity; the motto of by Nadia Aboulhosn is “For those out of line” or for those who don’t want to follow societal expectations and want to forge their own path instead. Nadia says that when she began blogging, she simply thought of herself as a girl sharing her favorite clothes and not much more. But as a petite and curvy woman, she has become an inspiration to others who don’t fit into the traditional molds of the fashion industry. Now she has embraced that role and plans to continue advocating for body positivity. She hopes to encourage her followers to be their authentic selves and embrace their personal journey. Born in Jamaica, Cheryl grew up in Florida before eventually moving to California to pursue her career. Before blogging full-time, she worked as a magazine writer and online editor, then a social media marketer. What started as an outlet for planning her wedding has become a site that covers style and beyond. Cheryl combines her love of fashion, beauty, and entertainment into a blog that features everything from outfit tips to movie and book reviews. Standing at 5’2”, Cheryl has the most trouble shopping for jumpsuits and flared jeans. She suggests persistence in finding stores and tailors that can make these styles accessible to petite women. In general, Cheryl feels that women of any size should be able to participate in the latest trends. This fall, she’s especially into denim on denim looks, trench coats, plaid and sock boots. She follows her motto - “When your fashion is inspired, your style is inspirational!” - in all of her outfits, whether she’s putting together a bold patterned look or styling a new accessory. Standing at a little over 5’4’’, Alice is a pro at not letting roadblocks get in her way—fashion or otherwise. A wellness blogger from San Francisco, she started blogging after being diagnosed with Hashimoto’s disease, a condition in which the immune system attacks the thyroid. Her health problems led her on a journey of holistic healing, and she created AliceInWondrland as a resource for others who want to embrace healthy living. Alice follows a number of rituals to keep her body healthy, including eating intentionally, taking herbal supplements and plant medicines, and practicing daily mindfulness meditation. When it comes to pushing through obstacles, Alice champions the mantra “Just Show Up” as a way of opening up to new and challenging experiences. Ultimately, that’s why she created AliceInWondrland: as a community where everyone can feel supported in their vulnerability. She knows how difficult the healing process can be, and wants others who are healing to know that they are not alone. Lorraine is a journalist, media strategist, podcast producer and host with a special interest in fashion, entrepreneurship, sustainability and tech otherwise known as FEST. For anybody starting his/her own business in the fashion industry, Lorraine is someone you must know. Lorraine spent the first 10 years of her career writing for various publications including WWD, Harper’s Bazaar, Women 2.0, Ozy, 7X7 and Fast Company to name a few. In 2015, Lorraine started a podcast series called the Spirit of 608 for and about women at the forefront of FEST. 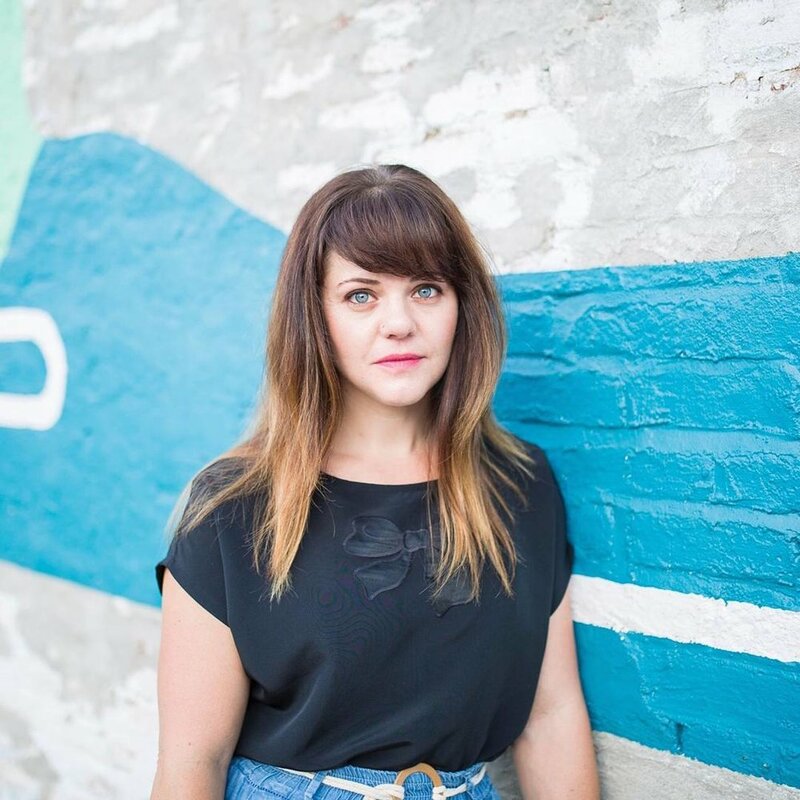 Most recently, she launched PressDope, a digital DIY PR platform for FEST brands. Standing just under 5’2’’, Lorraine, like most petite women, struggles to find pants that feel like they were made to fit her height. Even so, she’s never shopped the petite department because she assumed it wasn't for her. She tells Petite Ave that she was surprised to learn that petite clothing has nothing to do with body size, but rather is all about length and proportions. We were especially excited to hear Lorraine’s advice for FEST founders who are trying to get press. She said in most cases, the media isn’t really evaluating your product and its quality. Instead, they are looking for companies that elevate their own reputation and status as a writer. This means journalists look for companies with a contemporary website, strong social media presence, and an interesting digital tone and story. Having said that, it still takes a lot of time and work to get press. The key is to genuinely interact with journalists on a consistent basis over social media, email, etc. months before you’re hoping to land a piece. She is the co-founder of Enat, a company that works with small business owners in Ethiopia to make jewelry and leather goods consciously and sustainably. The company maintains a fair relationship with their partners, who set their own prices, and the leather comes from animal by-products from the local food industry. Olivia has been surrounded by the green movement her whole life - both of her parents are environmental scientists who compost everything and have an at-home worm farm - so building a socially responsible company came very naturally to her. Standing at 5’4’’, Olivia forgets how small she is until she’s standing next to people who are much taller than her. She’s a huge fan of tailoring her own clothing, and often wears high-waisted pants and skirts to make herself appear taller. Aside from being a badass business owner, Olivia is a pretty cool person, to say the least. She’s a world traveler (33 countries and counting), loves learning new languages (working on French right now), and used to be a food blogger while living in Argentina for several years. Her blog focuses on finding quality pieces at bargain prices. Aside from running her own blog, Kayla is an elementary school teacher in inner city Brooklyn, a volunteer at her church and local nonprofit for children with Down Syndrome, and an exercise fanatic. Standing at 5’5’’, Kayla isn’t technically petite; however, she often finds herself shopping in the petite section to find clothing that actually fits (especially pants with a shorter rise and length!). We of course had to ask Kayla for tips on how to find great pieces on a budget. She had three main tricks: (1) Shop at end of season: February for winter, May for Spring, August for Summer, and November for Fall. (2) Look for similar alternatives on the retailer's site. For example, if you see a cold shoulder top you love, try doing a search for “cold shoulder” to see what else comes up. (3) Shop at your local resale shop: many are highly selective about their items and only purchase on-trend pieces. 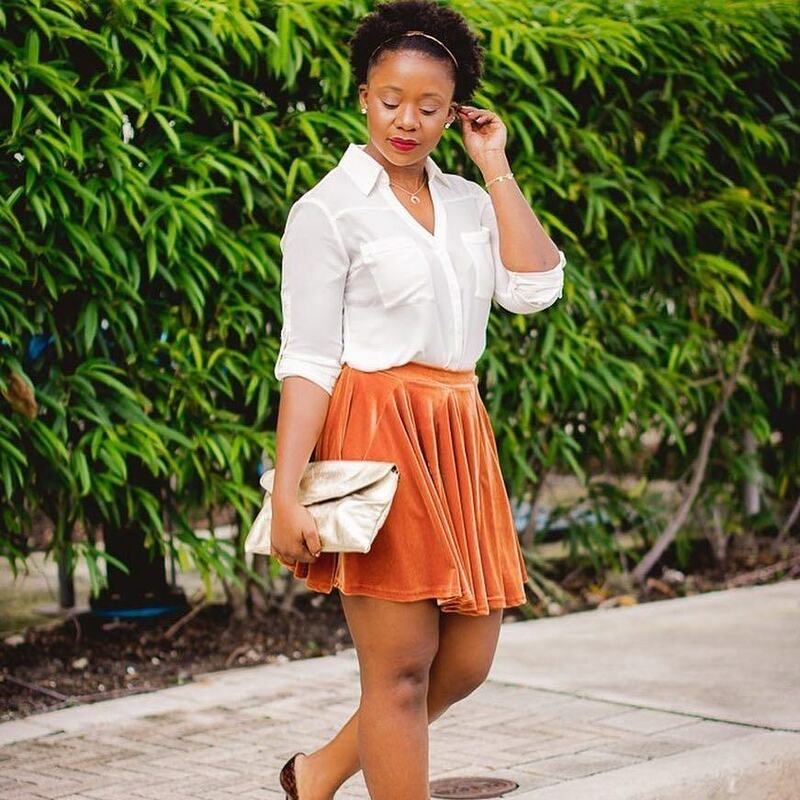 Aside from wearing stylish clothing, Kayla shares that “the best look you can ever have as a woman is confidence! Own who you are and your own personal style, be unapologetic, and you will shine!”. We couldn’t agree more. Toshada﻿ Uma is an 18-year-old petite model, blogger and social media maven who has alopecia. Standing at just 4'8'', Uma is definitely creating a name for herself in the industry. Besides breaking barriers in modeling, Uma is also helping expose her followers to an unconventional type of beauty. Through her custom-made wigs, DIY beauty projects, beauty tutorials and blogging, Uma is helping people think of beauty in a completely new way. When asked if she thinks there's room in the fashion industry for petite models, Uma says "definitely". As she puts it, "I feel like that is the one body type that is so under represented in the fashion scene. We opened our arms up to plus size models, to tall women, to medium height women, to all sorts of body types, but I feel like tiny women have been sort of excluded from this movement."